Tackling her first marathon this year, she’s done all the legwork so you don’t have to. 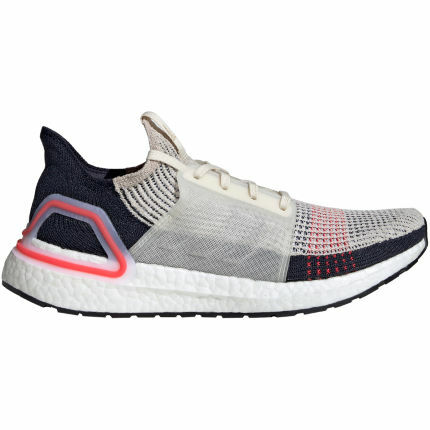 Neutral running shoes, shoes with cushioning, structured shoes, shoes for under pronation or over pronation, shoes for trail running or road running…Got a headache already? This is just some of the terminology you might have come across in your hunt for your first pair of running trainers. Whilst they are arguably the most essential part of your running gear and important to get right, it really doesn’t have to be that confusing! First things first, you might be asking why you even need a new pair of running trainers. Won’t those old shoes stuffed in the corner do? Perhaps, but the likelihood is they’ll have seen better days and will do more harm than good. As your feet pound the pavement, your shoes will be subject to wear and tear. So why not give them a little love by investing in a decent pair of running trainers? 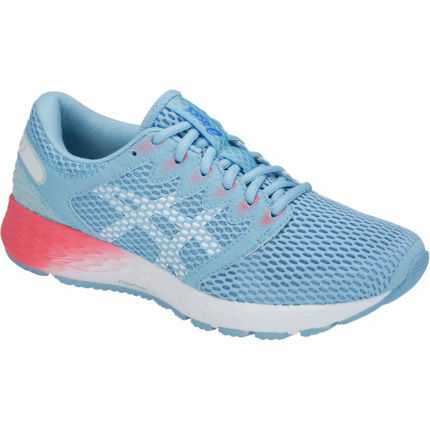 Not only can they help to avoid injuries, aches and pains, a new pair of kicks is a great way to get you psyched for your first run, as well as look and feel the part! So where to start. Below you’ll find a couple of pointers to help you navigate through the wonderous world of running shoes….. Comfort is key. We’re all different and so what works for your friend might not necessarily work for you. Try a few trainers out and see what suits. Most retailers will let you hop on their treadmills so you can get a proper feel for the shoe. Running trainers should give you a light, free-feeling, not be heavy or cumbersome. A key point to note is also shoe size. In general, it’s advised that you go up at least half or a full shoe size for running. Why you might ask? 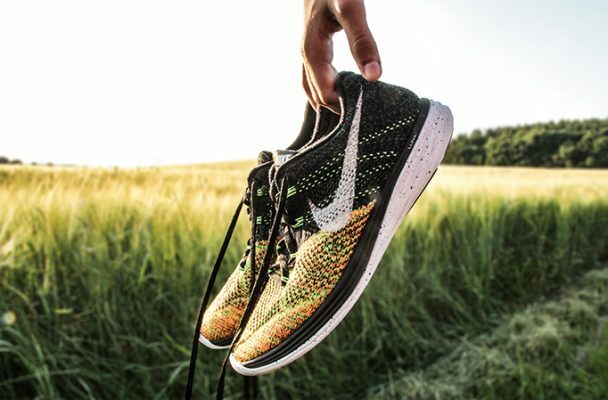 Well when running, your foot hits the ground with more impact and to compensate for this, they tend to spread out further, meaning your standard shoe size might feel a little too cosy. A simple test when trying out trainers is the ‘thumb test’. Essentially, making sure your heel is at the back of your shoe, if you can place just a thumb between your big toe and the end edge of the shoe, it should be a good fit! 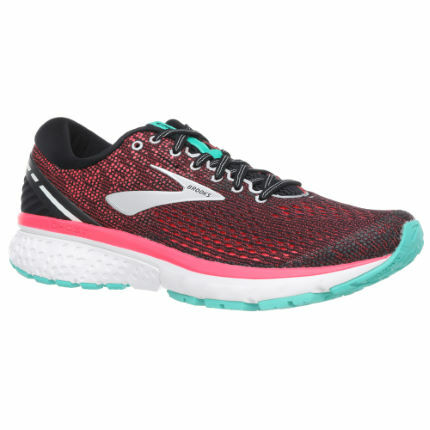 There are SO many different types of running shoes out there but to keep things simple, you can generally split them into two categories, neutral vs structured shoes. A neutral shoe will do the job for most people. It’s good for people with underpronation, normal to high arches, mid to fore-foot strikers and those with a lighter frame. 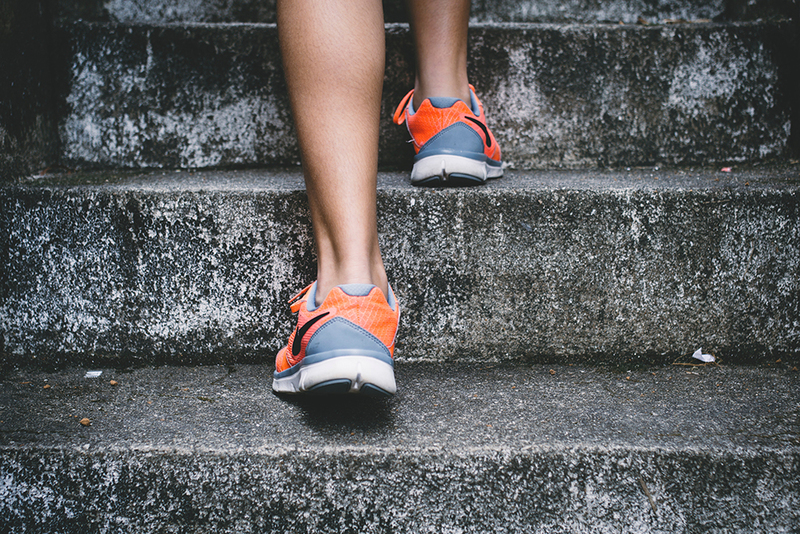 Structured shoes offer more support and stability, so are better suited to those with low to normal arches, people who overpronate or are even injury prone! But hold up, what on earth is pronation you might ask? This just simply means the degree to which your foot rolls as you run. Overpronation = inwards, underpronation = outwards. This can be helpful in determining which shoe type is right for you. If you’re unsure on any of this, I’d highly recommend getting gait analysis so an expert can assess the way you run and help you figure out what’s best for you. Most running shops offer this service free of charge nowadays but if not, as mentioned, a neutral, cushioned shoe is often a good starting place! You might already have a pair of suitable running trainers. Great job! But remember, overtime, they’ll lose their shock absorption and grip, thus stability, so they do need replacing from time to time. On average, running trainers should be changed every 6 months or 300 miles (whichever is up first). It’s also useful to consider what surface you’re running on. 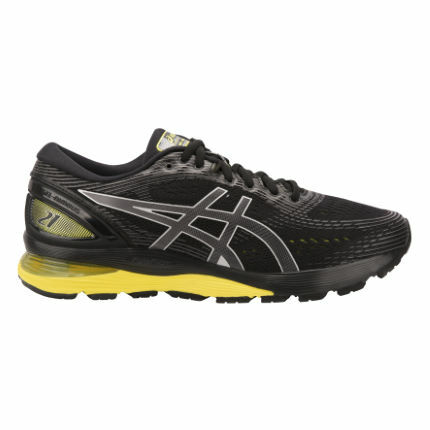 Just as there are cars designed for road racing or offroad, so too are running trainers. Trail running shoes for example might be bulkier and will give you more grip on the unstable terrain, whilst road shoes may be lighter, given the smoother terrain so choose wisely. Hopefully the info shared has shown you that buying your first pair of running trainers doesn’t have to be over-complicated; but that taking the time to find a decent pair is worth it. Whilst it’s all down to personal preference, below are my choices to help you along the way….. Still unsure about all this Gait Analysis malarky? Runner’s Need has created a short, simple, step by step video to explain how analysing the way you run can help in choosing the perfect running shoe for you.